Earlier this month, travelers from all around Neopia started to report weird activity around Krawk Island. It seems like the tentacles of what we believe to be a Titanic Squid were surrounding the Pirate isle. 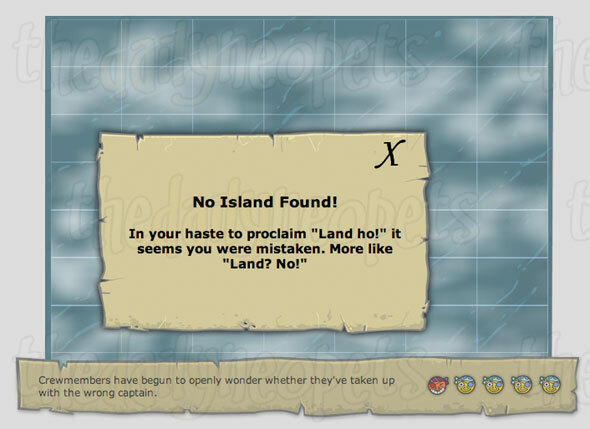 To everyone's surprise... most of Krawk Island had vanished from the map overnight! Only a small spot of the well-known island remains... a Solitary Shanty that is housing a Krawk named Gavril McGill. Note: The following activities are unavailable due to this event: Swashbuckling Academy, Golden Dubloon, Dubloon-O-Matic, Food Club, Smugglers' Cove, Fungus Cave, Buried Treasure, Bilge Dice, Little Nippers, Armada, Krawps, Krawk Cup, and Coloring Pages. After meeting up with Gavril McGill, you are presented with a sea chart. Every day, you can search for Krawk Island in the vast waters of Neopia. You and your crew can search in a maximum of five areas, until the mood of your crew decrease to the point that they refuse to obey your orders. In other words, once you have accumulated five cross marks on the zoomed in map, you need to move on and try in another area. When you take a closer look at the chart, you notice that the water is split into a 7 X 7 grid. 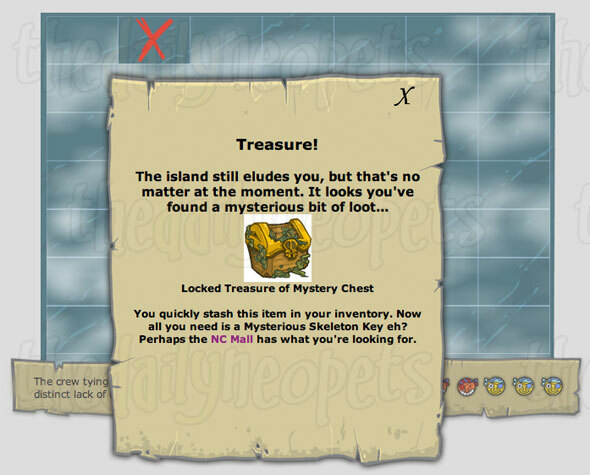 All you have to do is to click on a rectangle of your choice to see if it hides an island, a treasure or nothing at all. 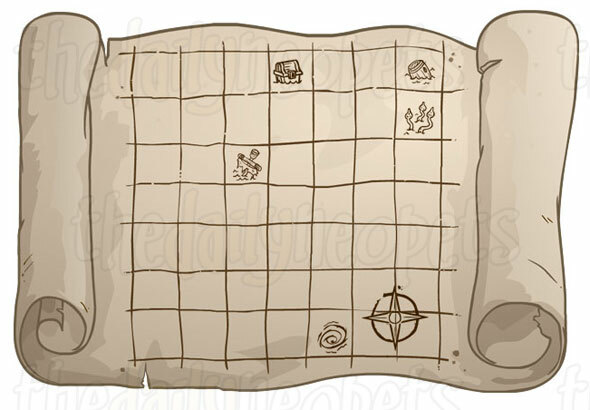 Knowing that each island take 4 squares, the best strategy is to scatter your picks around the map. Avoid clicking in the corners or on two adjacent spots. *To open a Locked Treasure of Mystery Chest, you need to purchase a Mysterious Skeleton Key in the NC Mall. Each key cost 125 NC and will allow you to open one chest. Inside the chest, you will find an exclusive wearable item. Now that all the islets making up Krawk Island have been found, Gavril McGill wants you to head out with your crews again and retrieve the islets for reconstruction. 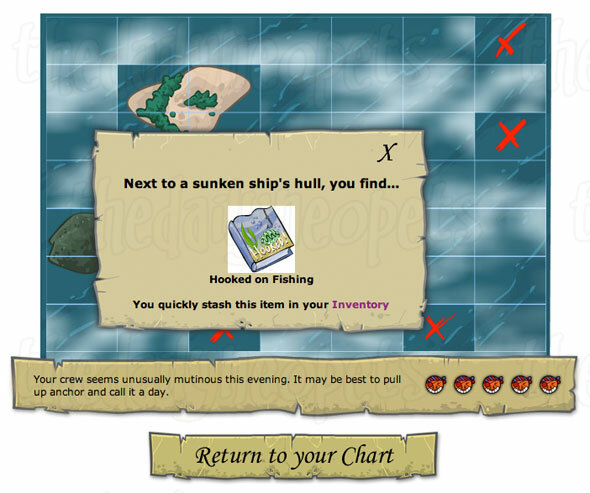 If you head back to the sea chart, you can pick an islet to sail to and tow back. However, towing the islets isn't an easy task, and you'll have to tackle the puzzle of arranging your crew members in a balanced fashion before you can start. Sudoku players will probably be familiar with this new puzzle. You're given four types of crew member, and a grid divided into several larger coloured boxes. Each column, row, and coloured box on the grid can only hold one of each type of crew member (or if you want to think of it another way, each column/row/box must contain one of each crew member). A couple of spots on the grid are filled in for you. You need to fill in the remaining spots by placing crew members in them. To place a crew member, click on one of the crew members at the top of the puzzle, and then click on the spot you want to place the crew member on. The simplest way to approach this is to target a box that already has two or three crew members placed on it. Then look at either one of the two remaining spots (if there's only one remaining spot, well, the solution should be obvious). There will be two possible crew members to place in that spot. 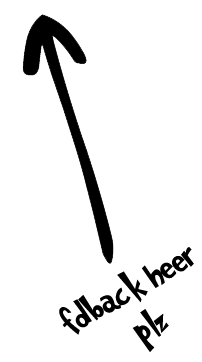 Strike out one possibility by looking at the corresponding row/column and checking to see if one of the crew types has already been placed. Then simply place a crew member of the remaining type, and repeat the process with another space. If you can't eliminate a possibility, you should also go look at another space. You can also start with a row/column and strike out possibilities by looking at the corresponding column/row and box if you need to. Once you're done, just set sail and you should be able to retrieve an islet and collect your prize. Sounds easy, right? Well, not exactly. Each day, the puzzle gets harder and you no longer have simple sudoku. Don't worry though, the same principles that you used on day one will lead you through the rest of the event. Follow the same logic but instead of four colours and four crewmembers, just increase the number. No matter how many colors or crew members, stick to your common goal; Get one of each crewmember on each colour, column, and row. 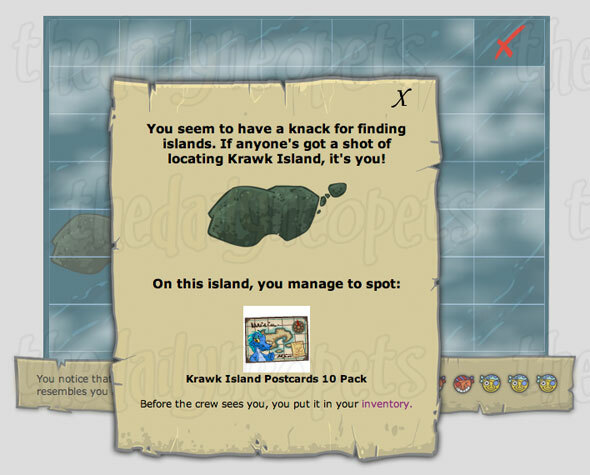 Good luck retrieving both Krawk Island and a spiffy prize! 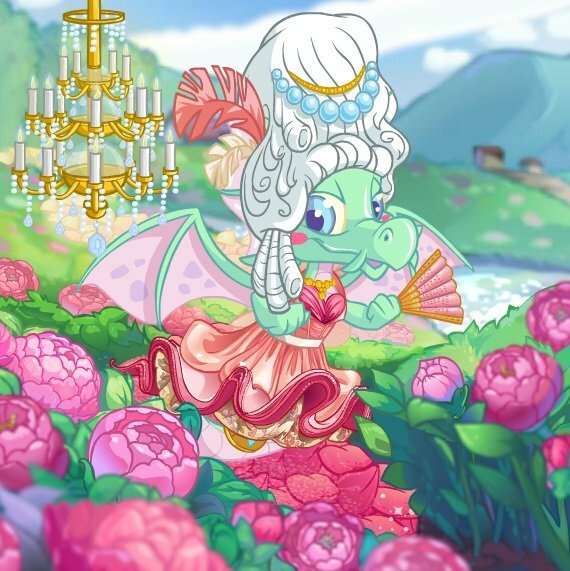 With all our efforts, Krawk Island is now fully restored. You can now visit the Governor's Mansion , the new residence of Gavril McGill. The visitors of the Anchor Management get a daily chance to fire at the sea for a prize. Also, a new trading area is now opened for business. The Warf Wharf is the busy epicenter of the island. *Depending when you completed each part of the event, and how much of the event you actually completed, you may not have received the stamp, the avatar, or the site theme. Additionally, some Neopoints were awarded to all users, but the amount varied based on participation and promptness. The Snowager is awake. He'll be sleeping in 46 minutes, 13 seconds.